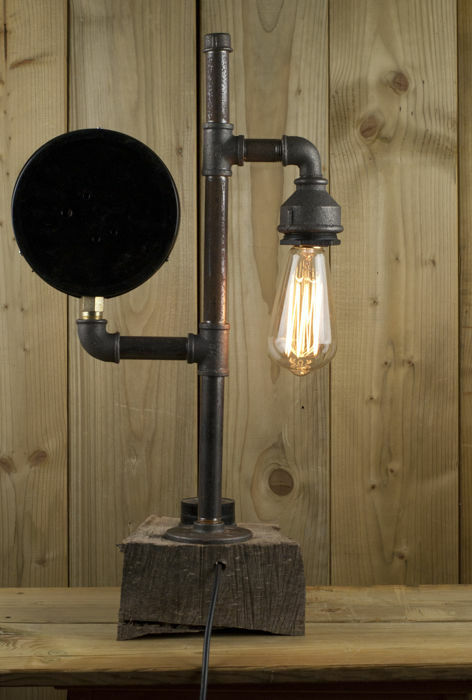 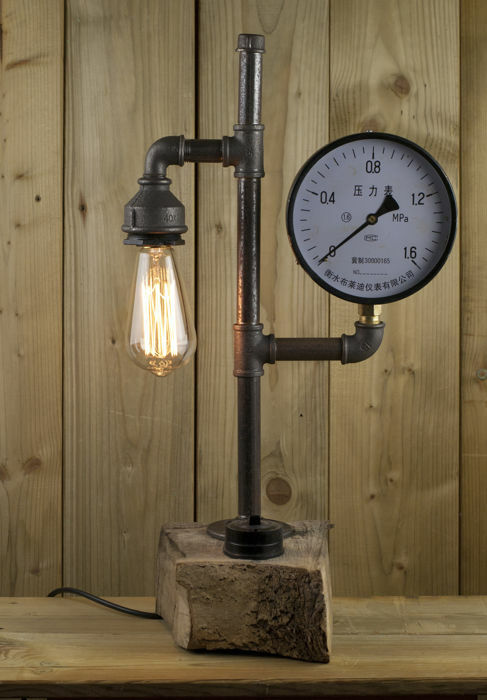 An industrial look lamp created in my own studio. 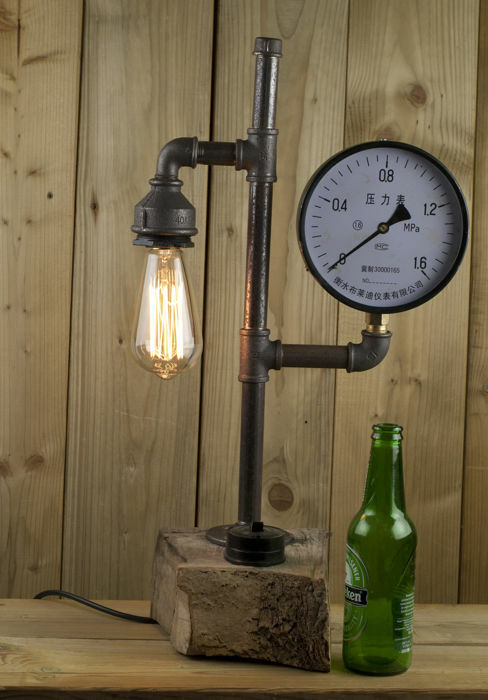 Has been made out of gas-pipe fittings. 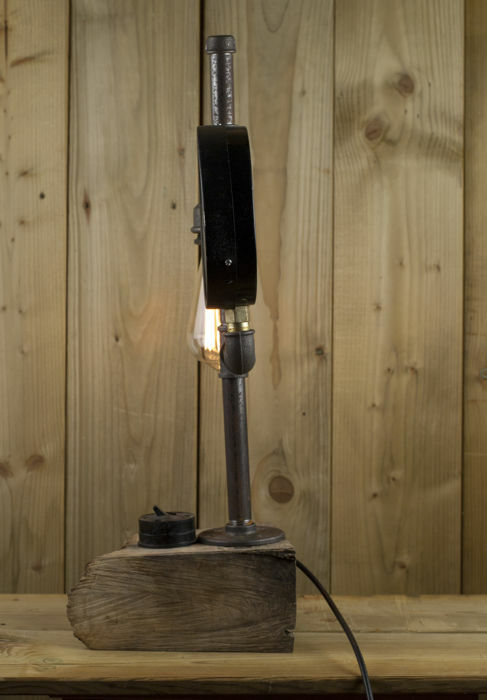 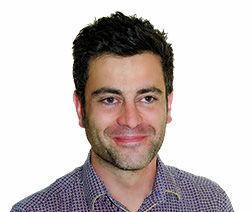 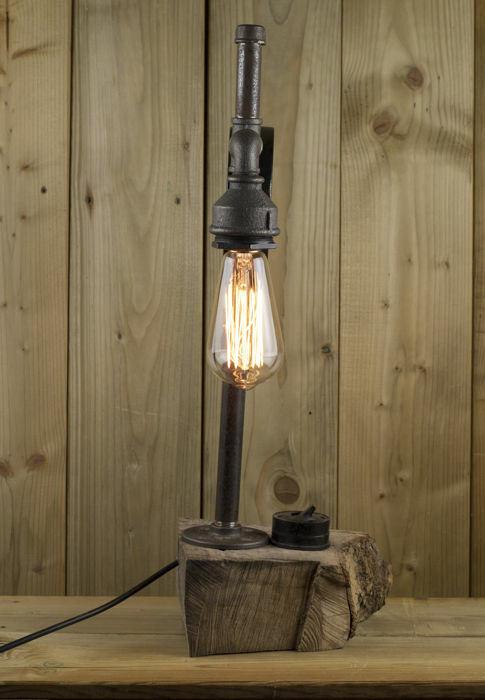 Has a carbon-filament light-bulb for warm old-fashioned lighting.